Day 1: This two-day trip takes in a selection of the best cafes and restaurants on the Canola Trail. Your gastronomic journey begins in Temora with a local -produce-inspired breakfast at Zest BYO. 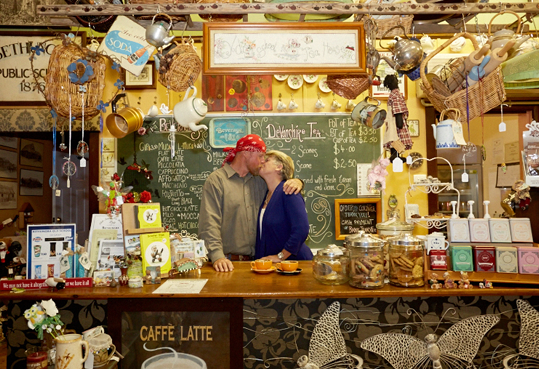 Take the scenic route to Junee via Bethungra where you will discover the one-of-a-kind Bethungra Olde School T-House, the perfect spot for morning tea. Continue to Junee for lunch where you can take a tour of the Junee Licorice & Chocolate Factory and then enjoy lunch at Graze at the Factory. After seeing the sights of Junee for the afternoon, enjoy a delicious dinner at the Roundhouse Restaurant. Day 2: Hit the road early for a deluxe breakfast at Coolamon’s Rustic Pantry followed by morning tea at Coolamon Cheese which offers a choice of 19 handcrafted artisan cheeses with unique flavours such as lemon myrtle, bush tomato and alpine pepper. If you’re still hungry, grab a sneaky world-famous Ganmain Pie for the road, stop for a beer at Ariah Park Hotel and then head back to Temora for dinner at Shan’s Diners Choice. Note: For some fantastic Paddock-to-Plate experiences, head to Lashbrooks Farm at Old Junee, Hazeldean at Quandary, Avondale Farm and Houlaghans Valley Wines.